Thank you for giving our daughter Leah her dream wish of a trip to Disneyland. It came true because of your generosity and great kindness. Brianna Hopaluk was a very good companion and helper to Leah. She made the trip interesting by letting Leah enjoy the areas of Disneyland that she preferred, including three rides on the Alice in Wonderland teacups. Going to Hollywood was special for Leah because she saw and took pictures of handprints and footprints of the many classic actors and actress whose movies she enjoys at home. Even though there was a lot of walking, Brianna was considerate in arranging tours and transportation so that Leah did not get over tired. Brianna was a competent, caring, compassion guide. 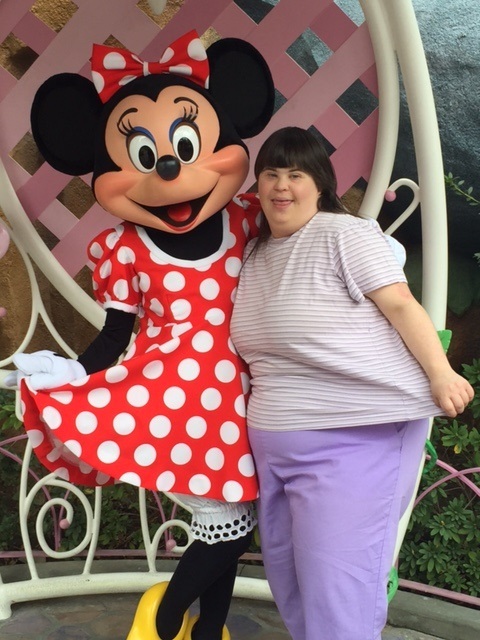 Leah will always remember her dream trip to Disneyland. You have made our daughter very happy.